Books are a big part of our family's holiday tradition. We pack up most of our Christmas and winter books at the end of the season so that we can rediscover them the next year. I have always been a big fan of pop up books. With the turn of each page a new three dimensional world comes into being. If you have ever seen Robert Sabuda's intricate pop-up books, you know that they are wonders of engineering and creativity. In addition to several books with Christmas and winter themes, he has created pop up books based on such literary classics as Narnia, Wizard of Oz, Alice in Wonderland, Mother Goose. He also has a line of boxed gift cards. If you are looking for a last minute gift, I would definitely recommend checking out Sabuda's books. 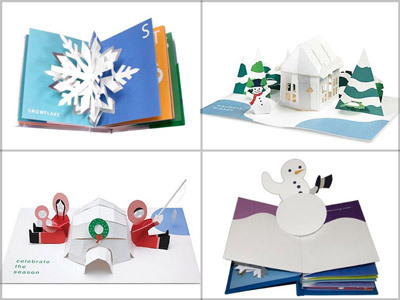 If you are feeling crafty and want to make your own pop up cards or books, Sabuda's extensive website provides detailed instructions (including photographs of each step) on how to create your own. There are over forty designs including, seasonal holidays, animals, Star Wars characters and more. "Under the microscope, I found that snowflakes were miracles of beauty; and it seemed a shame that this beauty should not be seen and appreciated by others. Every crystal was a masterpiece of design and no one design was ever repeated., When a snowflake melted, that design was forever lost. Just that much beauty was gone, without leaving any record behind." In my 10-plus years of photographing children, I see similarities to Bentley's passion for photographing snowflakes and mine for photographing children. Children, like snowflakes are each entirely unique and beautiful. Now as a parent of two, I see even more clearly how this beauty is ever changing and melting into new complex and fascinating works of art. 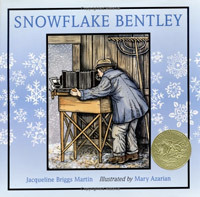 Snowflake Bentley tells the true story of a farm boy who was so fascinated by snowflakes that he made photographing them his life work. 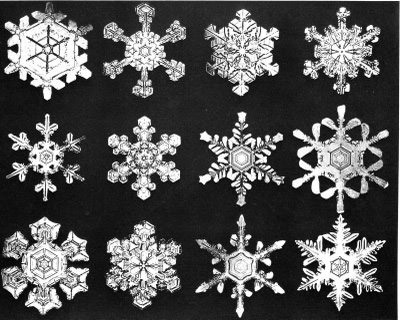 Wilson A. Bentley's passion for snowflakes led him to spend 50 years pioneering the scientific study of ice crystals, and developing a technique of microphotography that allowed him to capture the integrate details of snowflakes for others to see. Mary Azarian's beautiful woodcut illustrations for the book won the Caldecott Medal in 1999. 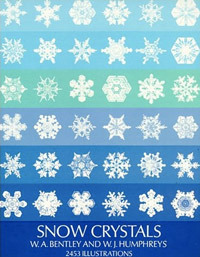 If you want to see some examples of "Snowflake" Bentley's work, Snow Crystals contains more than 2,000 black and white microphotographs of snowflakes by Bentley, graphically demonstrating that each snowflake has its own unique beauty. 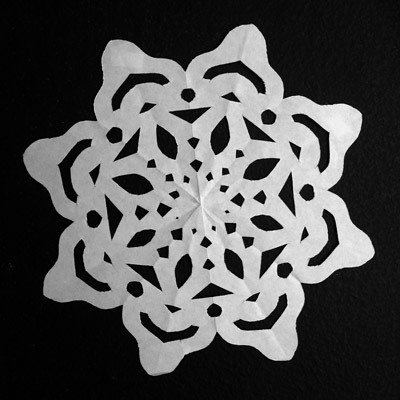 Cutting paper snowflakes is an annual tradition in my family. Hanging favorites from over the years is one of the ways we mark the season change here in Southern California. The trick to great snowflakes is proper folding .